Apple's Macbook Pro 15 with the new Vega 16 and Vega 20 graphics cards priced in PH! Home / apple / news / pc / Apple's Macbook Pro 15 with the new Vega 16 and Vega 20 graphics cards priced in PH! 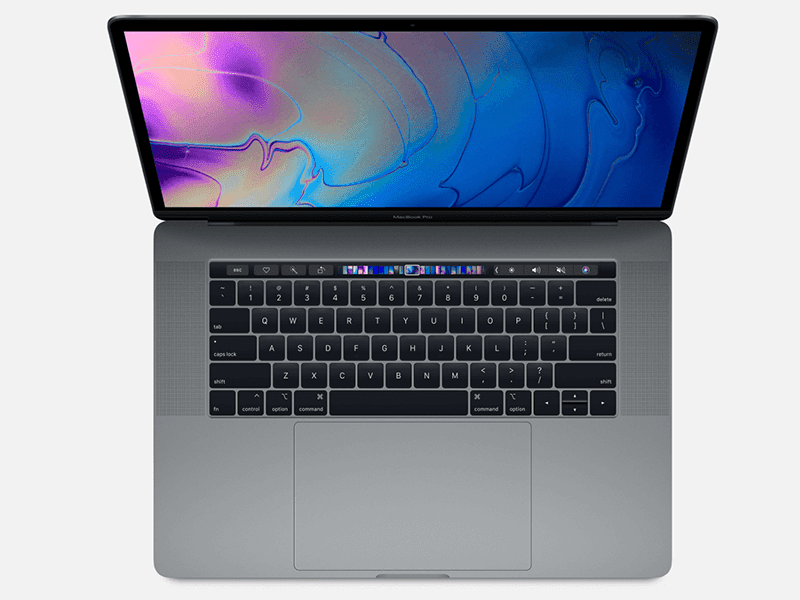 Apple has updated their 2018 Macbook Pro 15-inch line-up with new graphics card from AMD! The top Radeon Vega 20 model starts at PHP 191,490.00! The top of the line Macbook Pro 15 inch with the new Radeon Vega 16/20! AMD recently announced the Radeon Vega 16 and Vega 20 that are both made from the 14nm FinFET process that results into a highly scalable architecture that provides both power and efficiency. Both cards run with the HBM2 memory that was designed to handle future technologies and rapidly increasing workload demands in gaming, rendering and editing. The pricing for each component! Apple updated their websites worldwide, including the Philippines wherein the higher spec'd base model that 2.6GHz 6-core 8th-generation Intel Core i7 processor, Turbo Boost up to 4.3GHz, 16GB 2400MHz DDR4 memory, Radeon Pro 560X with 4GB of GDDR5 memory, 512GB SSD storage starts at PHP 173,990! If you want the Radeon Pro Vega 16 with 4GB of HBM2 memory, it will cost you an additional PHP 12,500! 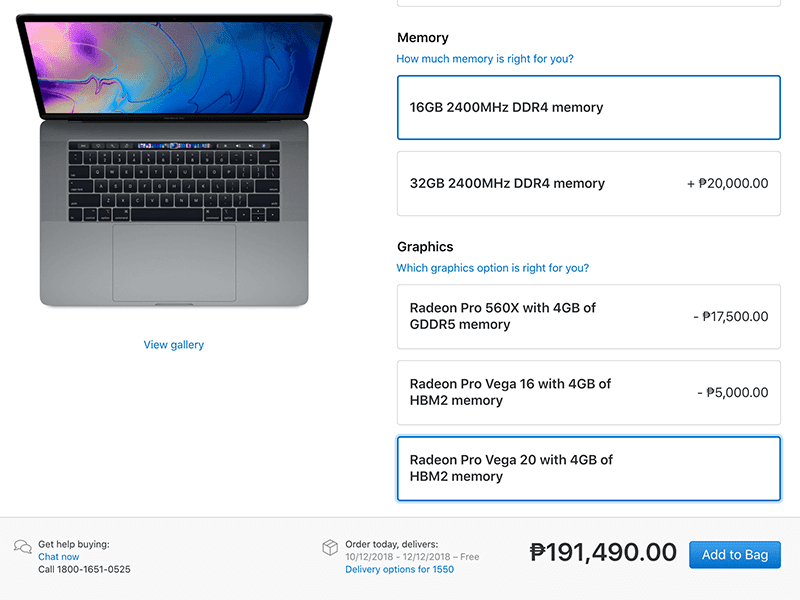 But if you want the top of the line Radeon Pro Vega 20 with 4GB of HBM2 memory, it will set you back an added PHP 17,500! This means that if you want the latest and greatest graphics cards on your Macbook Pro 15-inch, prices start at PHP 191,490. But if you want the fully spec'ed out model with 2.9GHz 6-core 8th-generation Intel Core i9 processor (PHP 15,000), 32GB 2400MHz DDR4 memory (PHP 20,000), Radeon Pro Vega 20 with 4GB of HBM2 memory and 4TB SSD storage (worth PHP 160,000), it will cost you a wallet squealing PHP 386,490.00! If you order today, the estimated date of arrival will be on December 10 onwards!